Karen studied at both University of Ulster and Manchester Metropolitan University. 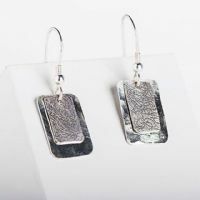 She has more than two decades of experience working as a designer and silversmith and has exhibited in galleries both nationally and internationally. She draws inspiration from music, poetry, myths & legends. 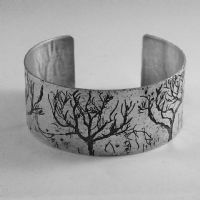 Her pieces use lines and textures to explore the parameters of design with symbolism as an allegory.